Hi everyone! Happy Spring, I can't wait until it gets warm again. Today is one of my favorite posts from my Spring Break trip (even though it was hard to pick a favorite). 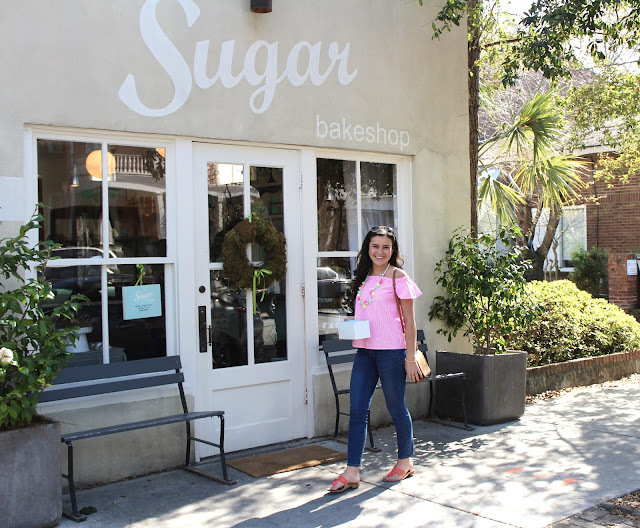 We spent our last day in Charleston and I could not love this city anymore. 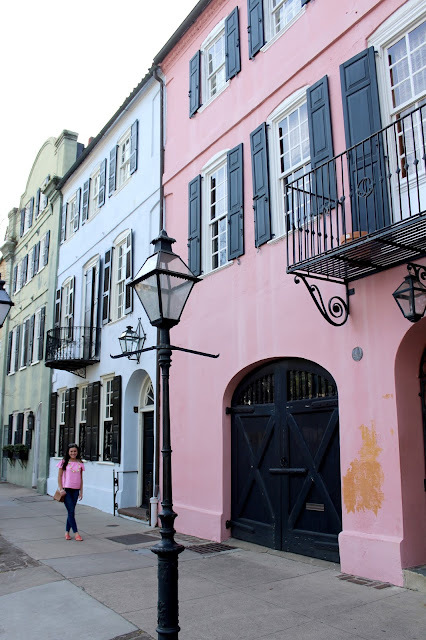 We started off the day exploring The Battery, which is quite charming. Then we headed to do some shopping and to have lunch on King Street. Later in the day we went to Rainbow Row which couldn't be any cuter. 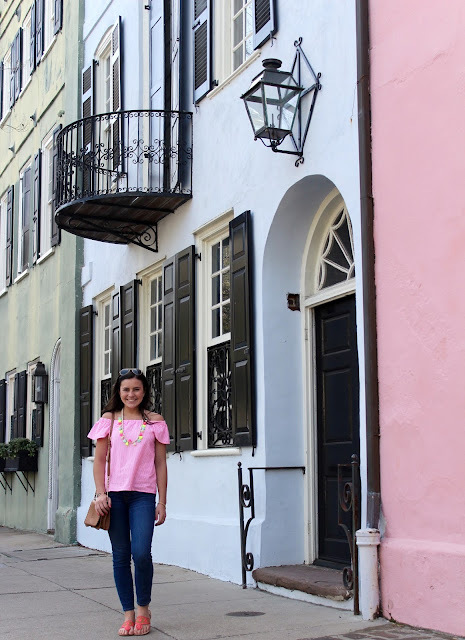 I absolutely adore this top I wore from Vineyard Vines, and I have a feeling I will be wearing it all the time once it's warm. 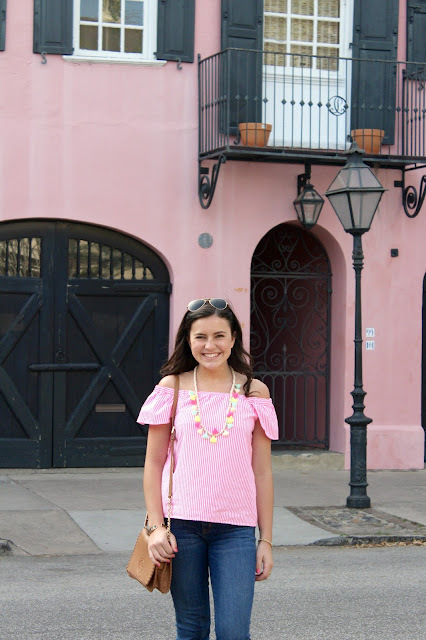 The bright pink is so fun and is perfect for Spring and Summer. 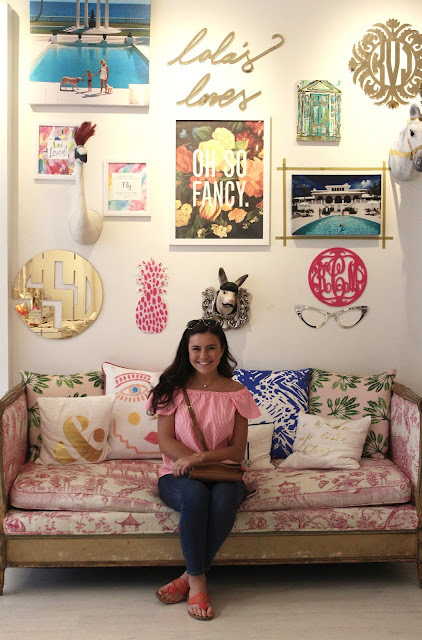 I could not get enough of the Moon & Lola store on King Street! 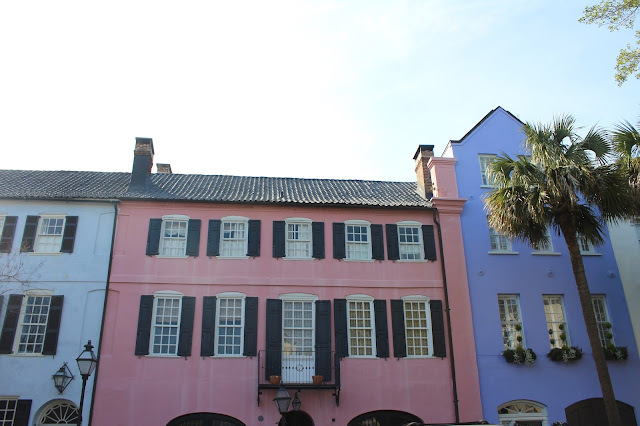 I'm also so excited for the opening of The Skinny Dip Charleston and can't wait to visit next time I'm there. Looks like you had the most trip! Love your photos! I have this top too and love it! So jealous of your trip to Charleston! I can't get enough of this top! Your trip looked like so much fun! I love the bright, springy outfit your wearing too! Beautiful pics! 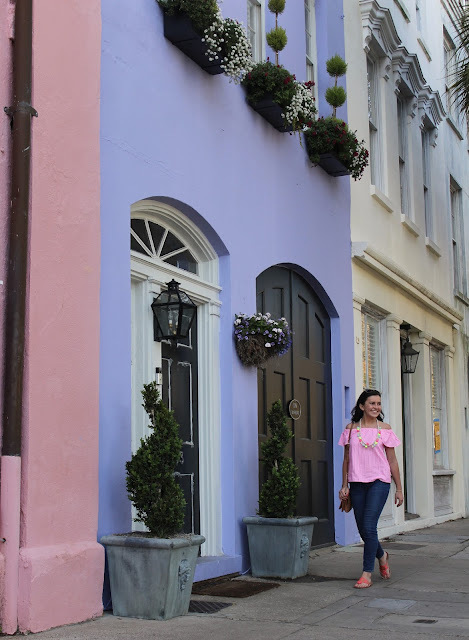 I'm going to Charleston on April 17th, where is that beautiful pink house(4th pic ) located?